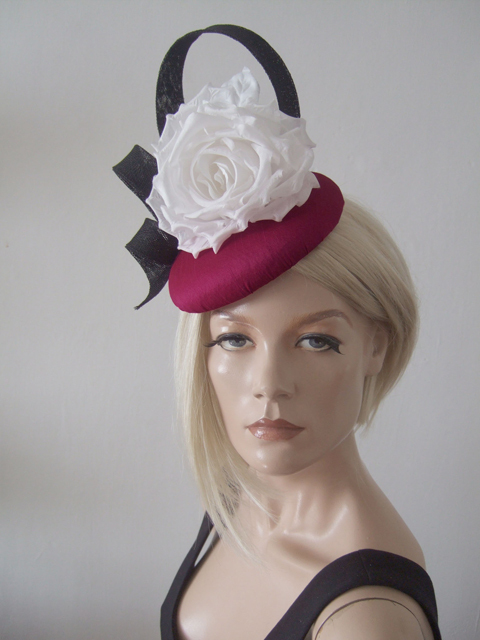 Seductive berry dupion smartie headpiece with striking hand curled white silk rose and black sinamay loop detail. Attaches by discrete Elastic that you wrap under your hair. Base measures 6.25" x 6.25"
Height from base to top of swirl sinamay approx 6".